Magic Painting: Appearing Ghost and.. When I saw the Ghost jokes painting at boredom busting mommy, I knew CJ would love it. We made magic paintings to go along with our all-time favorite Chant In the Dark, Dark woods. And In Dark, Dark Shelf, there was a Ghost! 2. 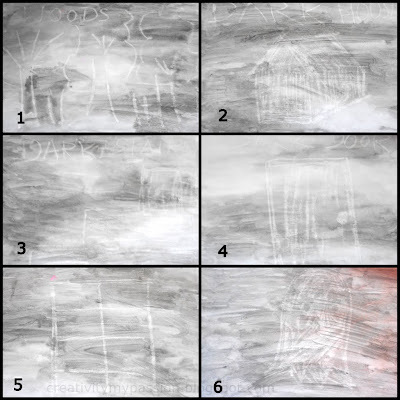 Paint the paper with black colors and see the pictures appear.